This unique medical keychain is a great way to keep your medical information available and on you at all times. Engrave both the front and back with your health information. 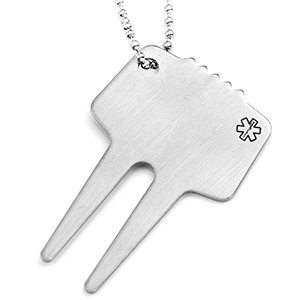 Comes with a medical symbol engraved on the front. The tool comes with a 1 3/4 inch chain, perfect for attaching to keys or a golf bag.